Sell your house fast in Manor today! Call HUD512 512-994-4483 to get your cash offer today! 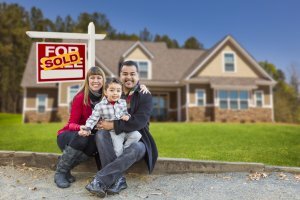 Do you need to sell a house fast in Manor Texas? Are you looking for a reputable cash home buying company in Manor? We are a real estate solutions and investment firm that specializes in helping homeowners sell their houses fast in the Manor area. HUD512 are investors and problem solvers who can buy your house fast with a fair all cash offer. We buy houses in any condition or price range for cash. Selling your house fast in Manor has never been so easy. Manor has grown in popularity east of I35 as well as Elgin, Hutto, Pflugerville. and Round Rock. The area has become a thriving community suburb of Austin. Amid all of this growth, there has been a rise in distressed properties. Manor homeowners find themselves in situations which necessitate selling their home as quickly as possible. HUD512 can help as we offer homeowners another option in selling their property. We are local cash homebuyers and we buy houses in Manor and Travis County in any location in the greater Manor area. Since we buy houses with cash, we can close on your timeframe; no banks, commissions, fees, or hassles. The best part is you can leave your house exactly how it is. We buy houses in Manor in as-is condition. You don’t have to worry when you sell your home to HUD512 because we are with you every step of the way. Our closings take place at a local title company and we schedule the closing on your timeline…not ours. Need To Sell Your Manor TX House Fast? HUD512 offers Manor homeowners another option to sell their home fast and at a fair price. 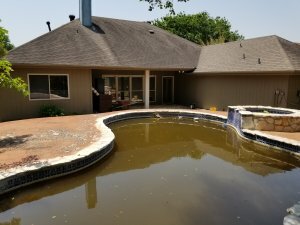 What we buy: We buy houses in Manor, Texas in any condition or price range. We specialize in houses that have been inherited, neglected, abandoned, pending foreclosure, rented, gone through a divorce, has mold or fire damage, and many other situations as well. We will buy single-family houses, condos, townhouses, multifamily units, and mobile homes w/land. If you have property in the Manor area that you need to sell fast then we need to talk. don’t waste time finding an agent who you trust and who can deliver on their promise of selling your house quickly – since we are paying cash for your Manor home, there are no agents to deal with. You get to choose the closing date! you won’t need to sign a contract that binds you to an agent for a certain term – we will buy your Manor home on your timeline…no matter if that’s two weeks or two months from now. Looking For The Best Manor Cash House Buyer? TRUSTWORTHY – We are Manor‘s number one cash home buyer because we treat our clients with integrity and respect. WE’RE LOCAL – Our family lives and work in the Manor area. We understand the market and want to help improve the local communities one house at a time. There may be a few “Sell My House Fast Manor” or “We Buy Houses Manor” companies, however, they can not offer you the experience and solutions that we can. HUD512 always puts your needs first. We take time to understand your situation and draw up an offer which fits your needs and timeline. We’ve seen it so many times, agents and other and “We Buy Houses Manor” investment companies missing solutions that can net you more money! We specialize in buying property that has problem tenants, pending foreclosure, bad foundations, needs major repairs, and many other issues or situations that Manor homeowners face on a daily basis. 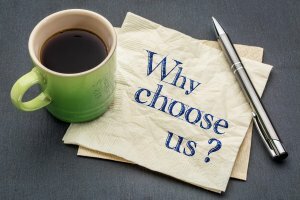 We never charge any fees, and there are never any obligations! Check out our quick and easy “3-step process “for buying your Manor house. We would love to make you a fair no-obligation no-hassle offer on your house. If you like it, take it…If you don’t, then leave it. You’ve got nothing to lose and everything to gain by giving us the opportunity to buy your house. If you’re looking for an easy way to sell your house fast in Manor, it doesn’t get any easier than selling to us! There is simply no other way to sell a house in Manor so quickly. Sell your Manor house the easy way, put money in your pocket, walk away from your frustrations, and get on with your life. If you are looking for someone to “buy my house fast”, we can buy your house as quick as you need us to! 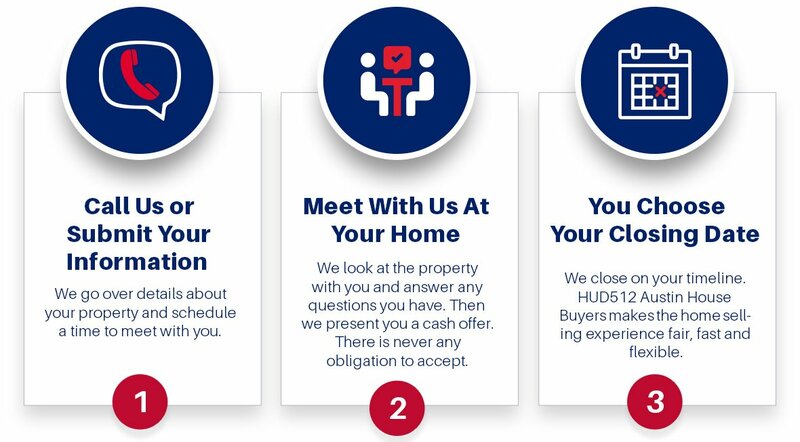 At HUD512, we promise to take the hassles out of selling your home. No more showings, no agents, no fees, no loan approvals, no mountains of paperwork, and no more waiting and hoping for your home to sell. If you are thinking you want to “sell my house fast in Manor TX“, we are ready to make a cash offer on your Manor home. 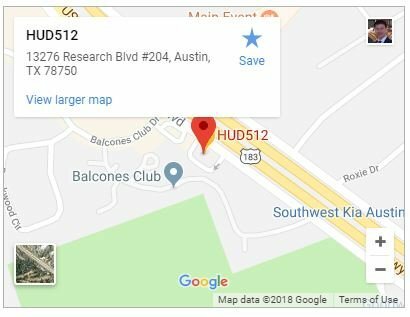 Here at HUD512 Austin House Buyers, we have been buying houses for several years and pride ourselves on being Manor‘s premier cash home buying company. Over the years, we have successfully helped hundreds of homeowners sell their house fast in all kinds of situations. The best thing about working with us is that you get to select the timeframe for closing. If you want to sell in 2 weeks, we can make it happen. If you need more time, we can also close on your schedule. You know that you have a cash offer on your home from Manor‘s most trusted cash home buyers. Our goal is to get you out from under your property that is causing you stress, while still paying a fair price for your home. Since we buy houses in Manor with cash, we can skip the traditional buying process and close on your schedule. There is absolutely no-obligation, so you don’t have to do anything if you aren’t completely satisfied with our offer to buy your house in Manor Texas. Where is Manor, TX located? Manor, TX is located 12 miles northeast of Austin and is part of the Austin-Round Rock metropolitan area. The city resides in Travis County. The nearest town is Elgin TX which is just a short drive via US-290 E.
Who is the Mayor of Manor, TX? Rita G. Jonse is serving her 2nd term as Mayor. She was elected in May 2013 and her term ends in November 2019. What is the population of Manor, TX? Manor, Texas’s estimated population is 9,217 according to the most recent United States census estimates. Manor, TX is the 240th largest city in Texas based on official 2017 estimates from the US Census Bureau. What are the communities that make-up Manor, TX? Austins’ Colony, Barker Hills, Bell Farms, Carriage Hills, Decker Creek Estates, Forest Bluff, Greenbury, Hamilton Point, Hidden Lake Estates, Hornsby Bend, Kennedy Ridge Estates, Kimbro Creek Estates, Kingsbery Park, Lambert Estates, Lockwood Acres, Lockwood Farms, Manor Villa Estates, Oak Creek Estates, Parsons Meadows, Plain View Estates, Presidential Meadows, Shadowglen, Stonewater, The Post Oak, Twin Meadow Creek, Wildhorse Creek.